While visiting Sonoma earlier this summer, I told my husband that I just had to see a nursery located in Sebastapol, just a few miles away. He groaned, assuming that once again he’d be stuck wandering alone through the aisles of yet another nursery while I quickly disappeared, only to return an hour later with a cart full of plants. 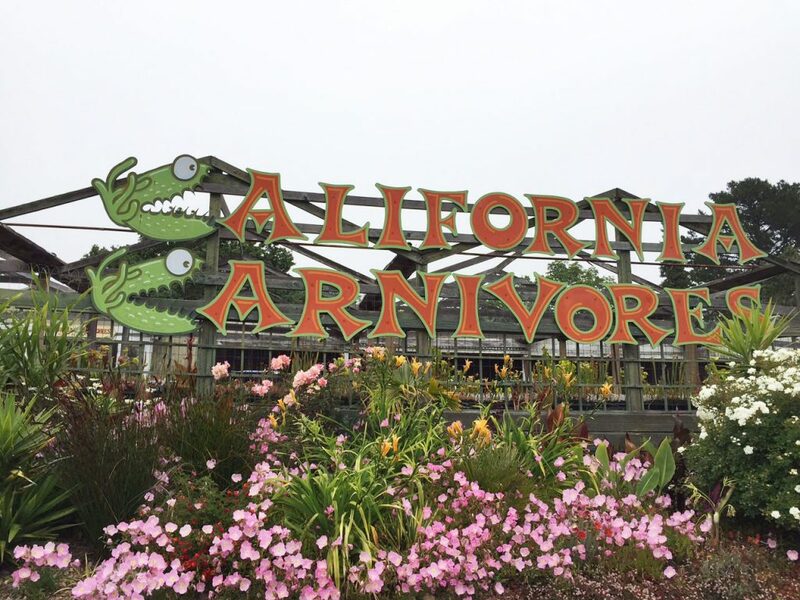 When we pulled into California Carnivores I could see his face light up. No overstuffed, flowery containers greeting us at the front, no fountains or garden art, and not a ‘tomatoes for sale’ sign to be found. Finally, a nursery that captured his attention! I have to admit that even though I pretended I was taking him here for his enjoyment, I was secretly intrigued. For some reason, with all I’ve been through this past year, I’ve found myself more and more interested in plants and places that mentally take me to another world. Maybe it’s a form of escape, maybe it’s because I crave something wild and exotic, or maybe it’s because now that I’m feeling better I want to explore everything. Either way, I was transported the moment I walked in! 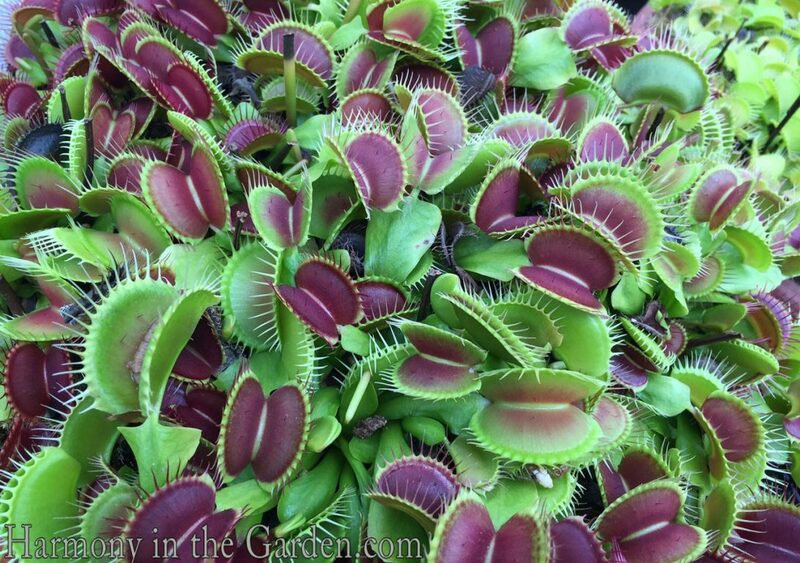 To see how these would look growing in your garden, take a look at Jeff Carlton’s Tennessee garden over on my friend Michelle Gervais’ new blog ‘Gardeny Goodness’. 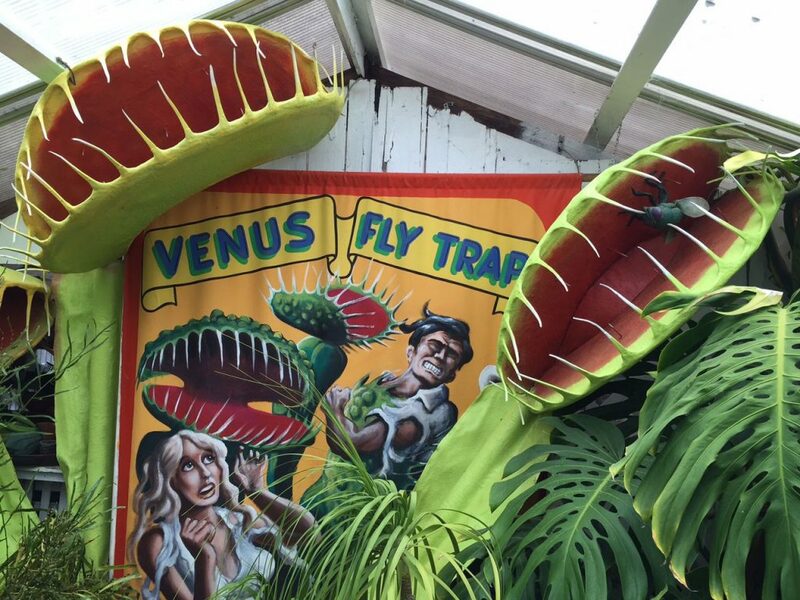 Ahhhh…good ‘ol Venus Fly Traps. Did you know that these native plants are only found growing within a 100-mile radius, in a small section of North and South Carolina? Growing up, I would keep them for awhile in a terrarium, but would sadly watch as they inevitably began to turn black and die a slow death. Thanks to the internet, I now know this the dreaded Black Spot Fungus which occurs as a result of overly damp and humid environments. I didn’t know that Venus Fly Traps grew just fine in our regular, cool homes not requiring the makeshift terrarium I had used. Cobra plants (darlingtonia californica) can be found growing in my neck of the woods, just south of Mt. Shasta. Native to California and Oregon, there’s even a variety that withstands the harshly cold temperatures of the Sierra Nevadas! The poor insect is lured in by a ‘tongue’ that protrudes from the giant hood. Once inside, the victim stumbles downwards towards its death, as drowning water is excreted. 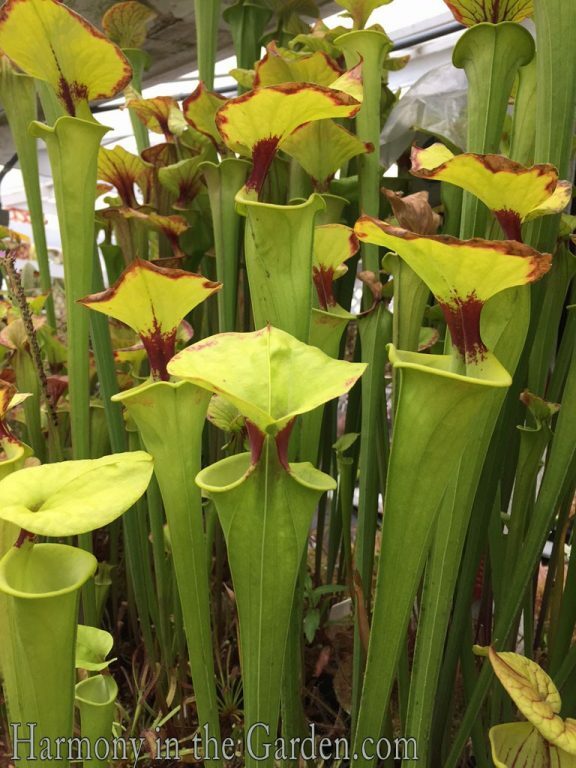 Click here if you’ve got a sadistic side and would like to try your hand at growing these killers. 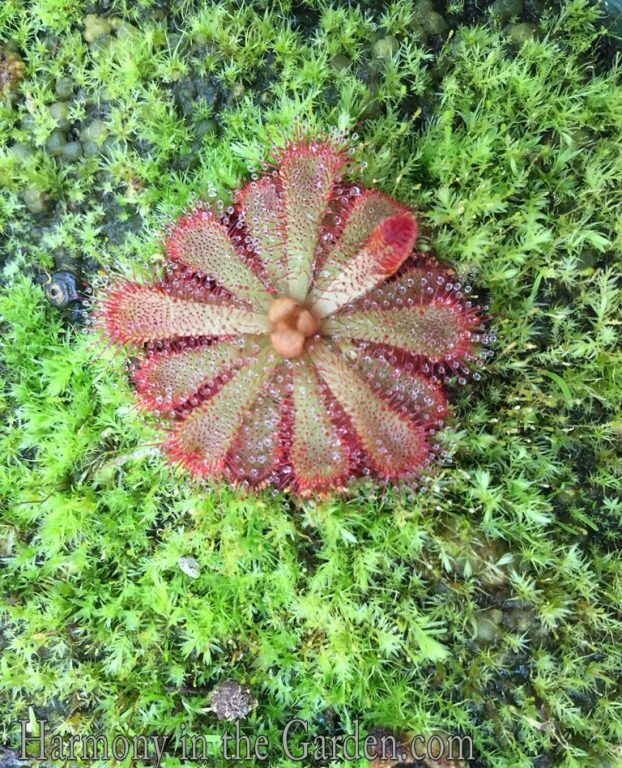 Sundews (drosera) are some of the most diverse genus of carnivorous plants, with over 200 species on almost all continents. The colorful rosette almost looks like an innocent, beautiful flower, doesn’t it? It’s hard to believe it’s deadly eating machine. Curious insects instantly become trapped by the sticky, glue-like ‘dew’ dotting the outline of each petal. In response to an insect trying to free itself, the tiny tentacles are triggered to move, further trapping the poor bug and preventing its escape. 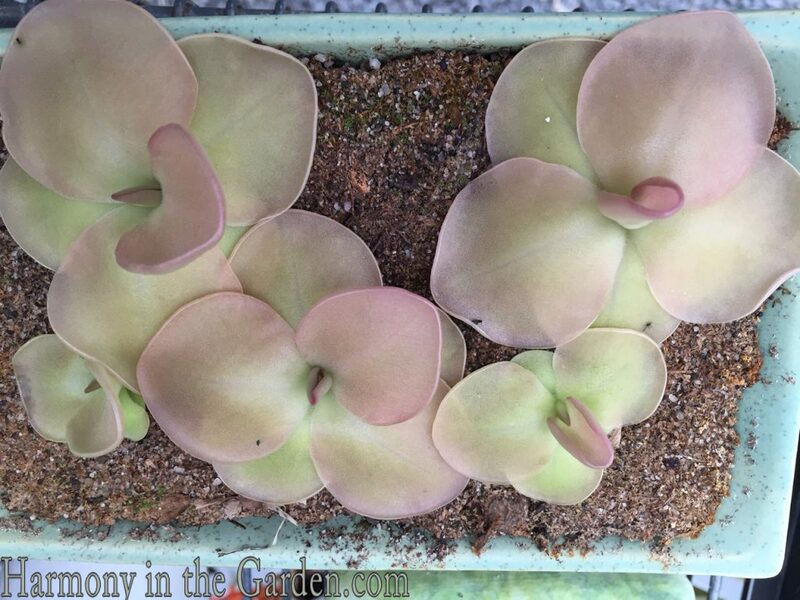 Here’s the beautiful Butterwort (pinguicula), which means ‘little greasy one’ in Latin. Sorta gross sounding already, isn’t it? It’s another innocent looking killer with delicate looking leaves that catch small insects with tiny filaments and sticky ‘glue’. An interesting fact – butterwort leaves contain an anti-bacterial agent that helps prevent bacteria from forming on the undigested insect parts stuck on its leaves (yuck, I know). However, once this fact was discovered, cattle owners would use the butterwort leaves as ointment for cattle suffering from infected sores. 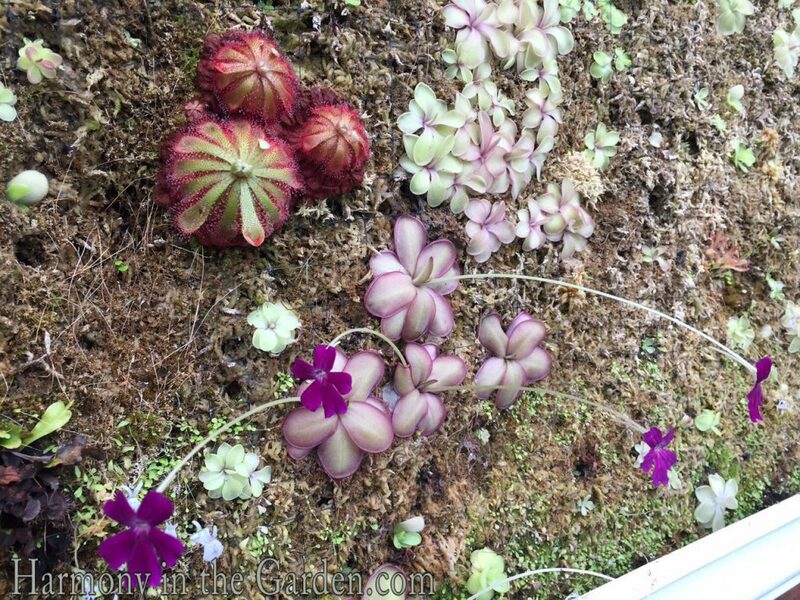 This living wall is in it’s beginning stages, utilizing lots of different carnivorous plants. I can’t wait to come back in a year or so to see how it’s transformed! 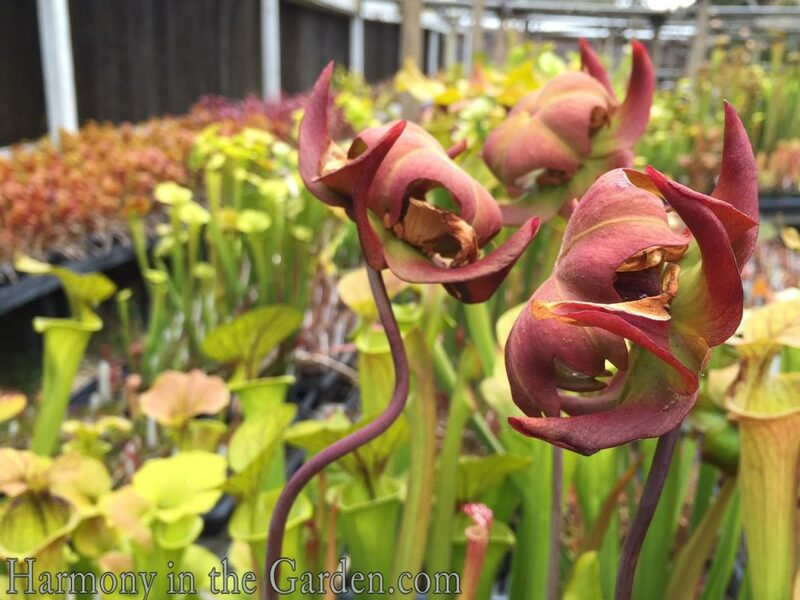 In the meantime, here are a few close-ups of the sundews, butterworts and pitcher plants that are happily growing on this deadly living art..
Peeking around the corner in the very back of the greenhouse, I found dozens of kiddie wading pools filled with baby insect killers. These pools are the perfect growing containers for creating a boggy environment. 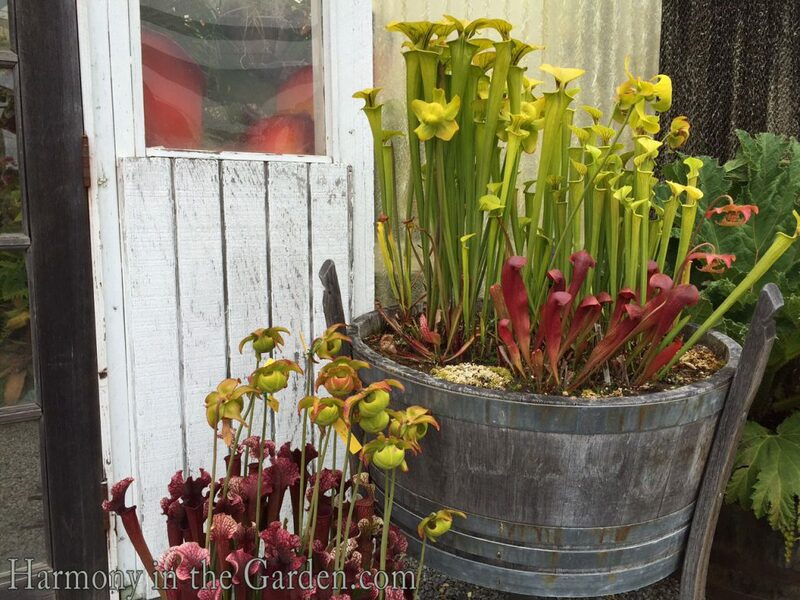 If you’re as intrigued by carnivorous plants as I now am, you’ll want to read The Savage Garden, by Peter D’amato (who also happens to own California Carnivores). A year ago I was sent a copy of his book to review, and after visiting this eclectic and passionate nursery, I couldn’t wait to get home and read it. In a nutshell, the book is fantastic. 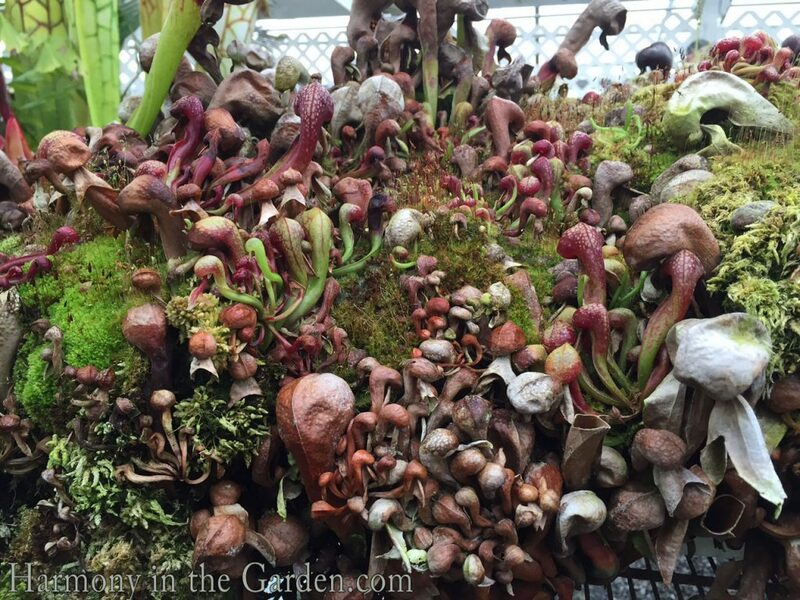 No wonder many call it the bible of carnivorous plants, winning both the American Horticultural Society and Garden Writers Association awards. Wow, this looks like a good one. 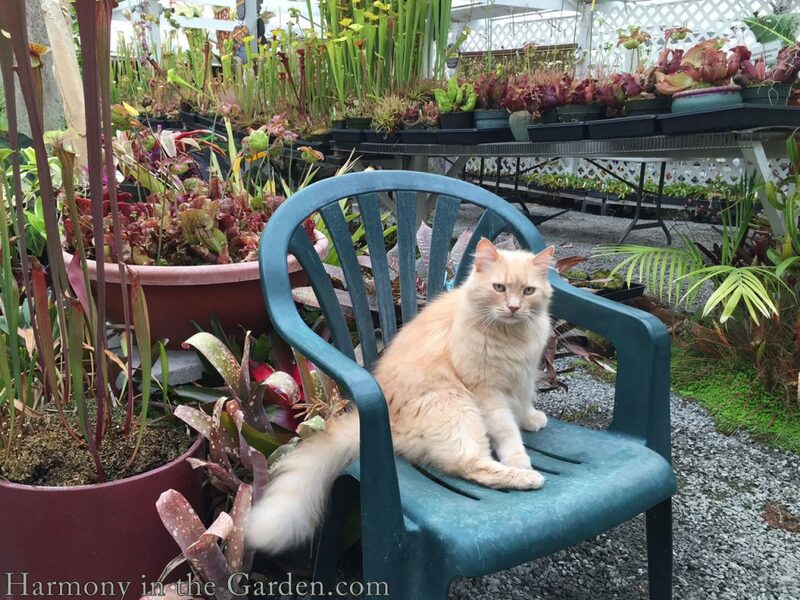 I’ve been to a similar nursery in Half-Moon Bay but will have to try this one next. They are just so fun to go through. I’ve started a terrarium filled with carnivorous plants so hoping I can keep them going. Glad you have a terrarium full, Joan – that would be fun! I wish I had bought more when I was there. Oh well, gives me a good excuse to go back! I truly loved the theme of this page! 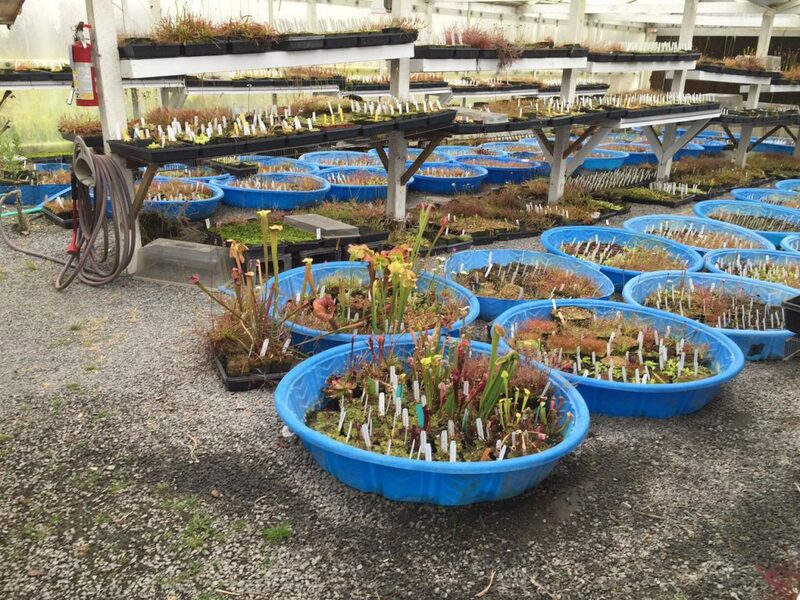 We have carnivorous plants in Oregon, of course, and years ago I got some great slides on the Coast of several. Max says they die early for him. Does this mean they must be fed often? That wouldn’t work for me either! Also, I’ve so much enjoyed your book “Refresh Your Garden Design” which I got on interlibrary loan. It is truly excellent with such good ideas. Even though I live about 5 minutes away from California Carnivores, I try to avoid it. I have a tendency to kill these beautiful gems within about 2 weeks (or really anything that can’t handle some degree of neglect). However, it is nice to see that some people can grow these beautiful plants. When you are in the area again, there are some other (very nearby) nurseries you may want to check out: Peacock Horticultural Nursery, Lone Pine Gardens, Emerisa Gardens (wholesale), Sonoma Horticultural Nursery… too many to list, and all of them are either off hwy 116 or 12! Lucky you to live in such a beautiful area! Thanks so much for the nursery recommendations, Max. I’ve been to Sonoma Hort Nursery, but not the others. I’ll definitely have to add them to my list!! Hello from a newcomer! 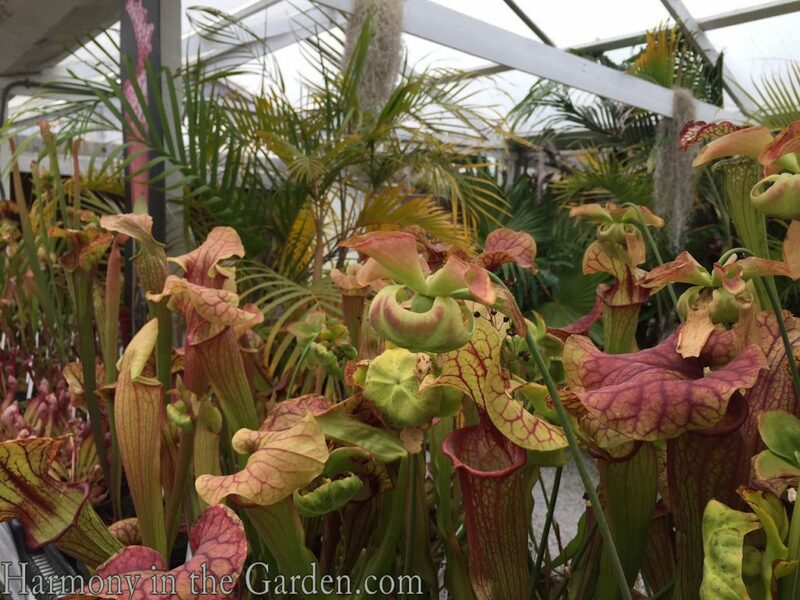 I have been fascinated by carnivorous plants fro quite some time now, but I did not have the time to look places up. This one here looks like a must-go destination and I am now seriously considering travelling to the United States just to take a peek of it! It’s official – America, here I come! Thank you, Rebecca, it looks great, it’s easy to read and the topics(like this one) intrigue me. Thanks, Pam. I wish there was, too – it’s an amazing place where you can lose yourself for an afternoon. Wow, they are so stunning! I love them and will visit the nursery when next up north. I found that young children (especially boys) ALWAYS lit up when I taught them about carnivorous plants. How nice that you’re visiting Sonoma next month – will you be staying at our favorite hosts in Napa? You’ll love the nursery. Filled with one beautiful and deadly plant after another. If you’re able to have dinner in Sebastopol you should check out the Himalayan Tandoori House. It’s a tiny place with some of the most amazing food I’ve tasted in a long, long time (969 Gravenstein Hwy, CA 95472) Have fun! I’m with Tom, but you snagged me too. Looks like Sonoma is calling us. Wow, I live in Sonoma County and I’ve never been here! Thanks for the heads up! I’ve been following your great blog for a while now and I’m so glad to here you’re feeling better! I always learn something from your posts and love your book. We’re using it to slowly figure out what to do with our landscape…thanks! 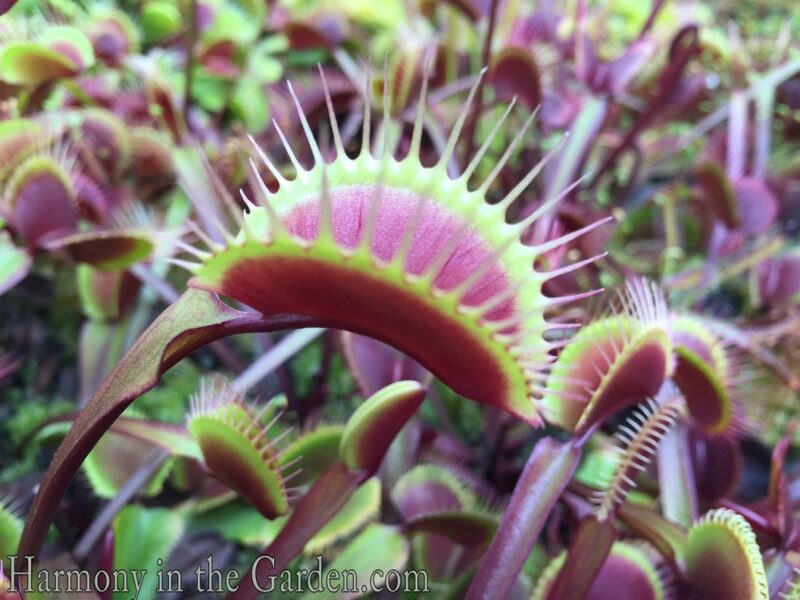 Okay, Rebecca, I was intrigued by the ‘California Carnivores’ sign, but then you had me hook, line and sinker with the Venus Flytrap 3D masterpiece!YES!!! Peter D’Amato has a wicked sense of humor which is right up my alley. I still don’t know if I want any carnivorous plants yet, but I may have to get some for Jackson. Just what every 7 year old needs, don’t you think? 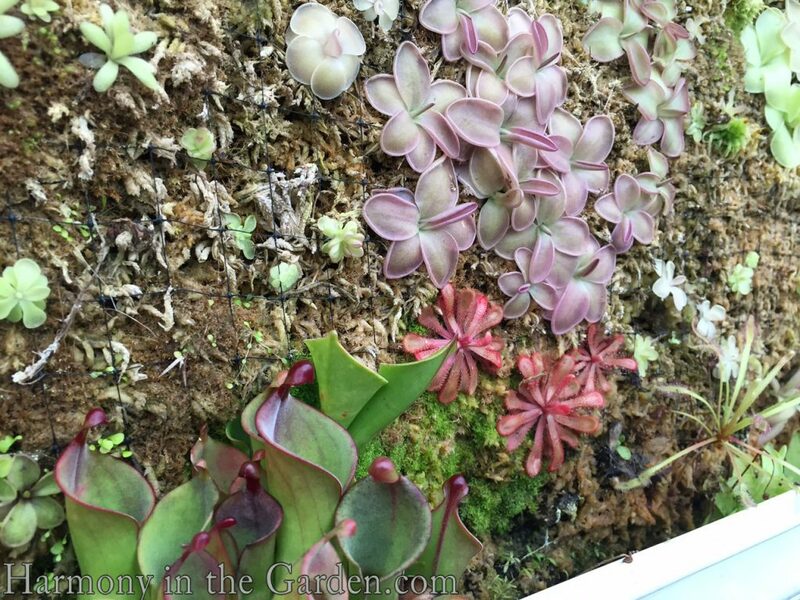 PS I expect another post down the road about the maturing living wall of death at this divine nursery! I thought you’d like Peter’s signs, Sheila – aren’t they great? 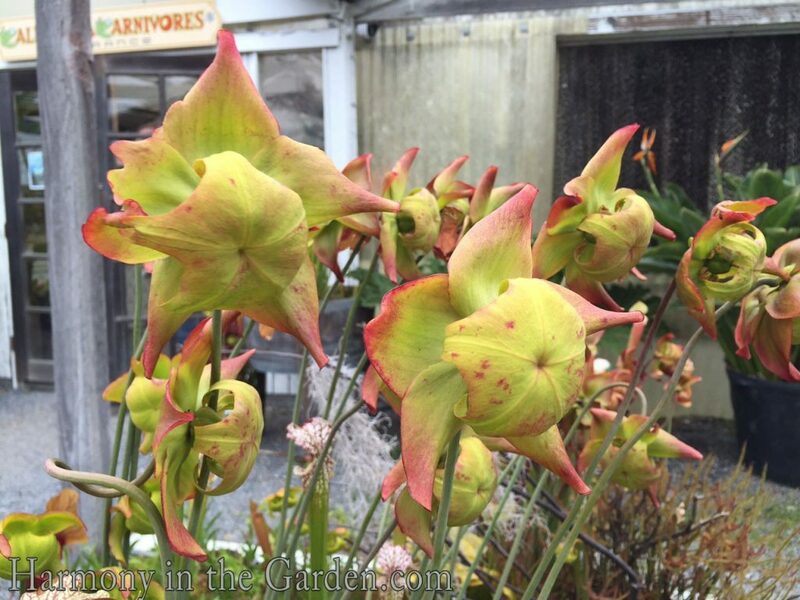 I bought a beautiful pitcher plant and gave it to my ex-husband for his birthday. I had to keep it here for a few weeks before I saw him and I’ll admit it was hard to part with it. It just sat in a little bowl of water and it sorta became like a little friend. 😉 When one of the ‘stems’ would die, I would slit it in half to see what it had been eating and OMG – filled with bugs (so gross, I know). When I go back to this nursery I’m definitely getting another for my kitchen window sill. Bye bye mosquitoes!